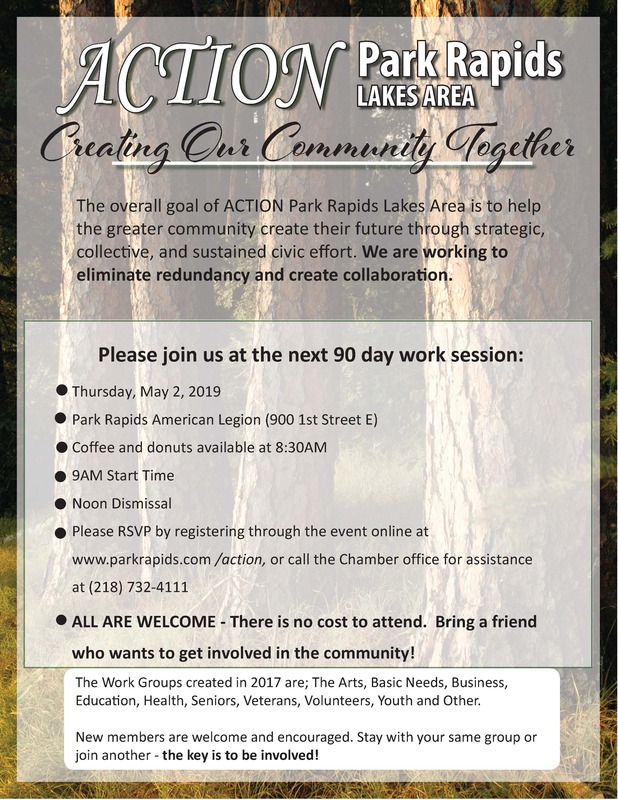 The overall goal of ACTION Park Rapids Lakes Area is to help the greater community create their future through strategic, collective, and sustained civic effort. We are working to eliminate redundancy and create collaboration. Join us on Thursday, February 21, 2019 at the Park Rapids American Legion (900 1st Street E). ALL are welcome - There is no charge to attend. Please RSVP by registering online or by calling the Chamber office for assistance at (218) 732-4111. Please RSVP at this link ahead of time.